In some places we travel with our recreational vehicles, dumping stations might not be existent or the sewer can be higher than our holding tank outlets. Those times can be frustrating if we have to empty our tanks. That’s why the best RV macerator pump is an essential to have onboard. It can be the portable, the permanent type or the 110V macerator pump. However, it can be hard to choose which one to pick if we don’t know the considerations to look into when shopping around for it. For this reason, we’ve prepared a guide along with the top-rated macerator pumps to pick from and use for your vehicle. Let’s begin. We all need a portable RV waste pump in our recreational vehicle especially if it is a bit old without a built-in macerator pump. When shopping around for this product. We can take a second look at an amazing product that is a big help in dumping waste especially if our rig is farther away from the sewer or if it is higher than black and gray outlets. If we don’t’ have this macerator pump, we might find it hard to dump our waste. The Amarine pump is a decent choice because it can perform its functions well but without breaking the bank. This product is offered at a very affordable price. Even affordable, it won’t suffer in performance. Even other RV enthusiasts have noted about the great value of the pump. I also noticed that the macerator pump, which can effectively reduce solid and liquid waste and turn it into slurry for easier and faster disposal, also has a thermal protection. It only means that it does not get too hot. This also translates to better durability and no worries that it will overheat and stop working. 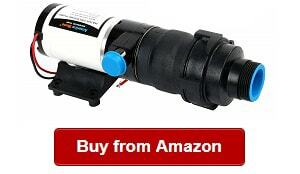 The feature also ensures that our macerator pump will not be overworked by clogs in the hose. So if you could read from marine macerator pump reviews, this product is one of those recommended for its efficiency and durability. Aside from its protection feature that makes it top quality, this model can also empty a 30-gallon tank in 3 minutes because of its 12 GPM ability to empty the tank. I also liked that the waste pump is portable. So if you’re looking for portable model that you can easily attach to the waste outlet without any problem, then you might want to take a look at the macerator pump. It is a top-rated product I found and believe to be a great choice for rig owners that want to empty their waste tanks easier and faster. In that case, our RV trips won’t be ruined again by worrying about how to empty our waste tanks. Overall, the RV discharge mount macerator pump is one of those I would like to recommend for its superb functions and features. The only problem I have is that I am someone that wants a full kit. Unfortunately, this one is not. It just means we have to buy some separate accessories to make it fully functional. However, I don’t think it will be an issue if we’re looking for a heavy-duty pump and do not mind spending on the other accessories. 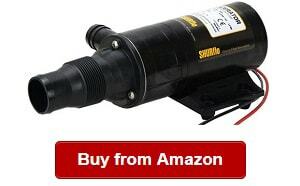 This product has cool RV macerator pump reviews saying how customers appreciate how it is valuable for their RVing life and camping adventures. I do not doubt, though. The SHURFLO 3200-001 is a top of the line product in its category. It is one of the best RV macerator pump systems not only for being by a trusted brand but also because of its solid features and functions. It is heavy duty, ensuring it will last for years and keep up with our tough demands. Especially when our rig is located far away from the sewer, we can depend on the solid performance of this pump that will help us dump waste without breaking down. Another thing I would like to recommend this product for is its dual blade, ensuring there won’t be an issue with the pumping. Using it, you don’t have to worry about it being backed up or blocked with waste because it can immediately reduce liquid and solid waste for faster dumping. So if you want a macerator pump that can perform well you don’t have to look any further if you have the SHURFLO 3200-001. There is really nothing to stress about using it because of its durability and efficiency. Both are great features to consider if you want to get more out of your spending. Speaking of these things, let me just tell you that this product comes with a run dry feature, which adds to its durability. It only means that it will stop running once its job is done. And because I am sometimes preoccupied, I tend to forget things, so having this feature for my macerator pump is really a big help. While it does have such useful functions, I am amazed it is not expensive. I also liked that it is backed by a 1 year limited warranty that can offer us with peace of mind we can get help when something goes wrong with our macerator pump. However, this product is not a complete kit only meaning you should buy the accessories to make it functional. But then, it is still a great product if this isn’t an issue for you. 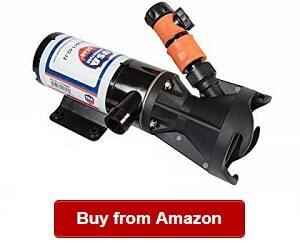 After all, it is a decent pick if you’re finding a durable waste pump for the RV. The Flojet RV macerator pump is a top pick among those in the category and for reasons. The mini yet powerful workhorse works efficiently and effectively. You can just hook it to the rig batteries if needed and it will begin working to empty your tank in just three minutes for a 30-gallon tank. That is not all though, because there are other features that convinced me how great this waste pump is. The Flojet 18555-000A is also portable, meaning we can use it easily and quickly anytime and in any RV park and camping site. 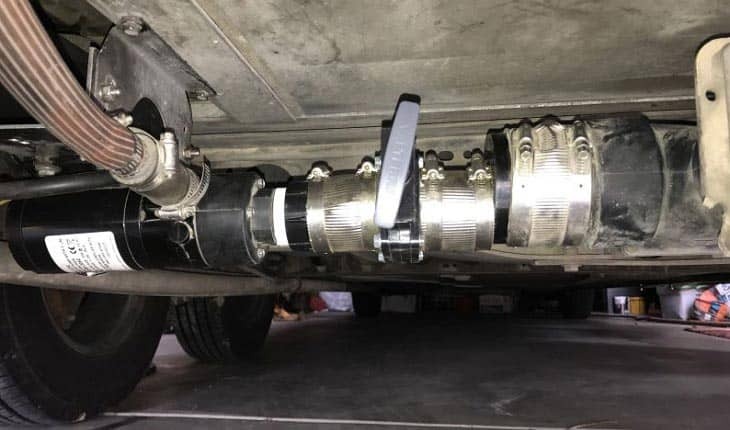 Using it, we don’t have to worry about not being able to empty our grey and black tanks when our rig is parked too far away from the sewer or if it is higher than our tank outlets. Another thing I’d like to note is that this portable product also has the dry run protection. What does that mean? Well, if you’re someone like me who tends to forget from time to time because our minds are just too busy to stay focused, we need this valuable function. The dry run protection means that the motor will stop running when it is done emptying the tank. So with that, we can also have peace of mind that the Flojet 18555-000A won’t be damaged. It also has powerful cutter that can reduce wastes and particles to 1/8 inch in maximum size, so it will be really easy to dump waste and also without worries that the hose will be clogged due to blockages of large waste. All these things made me realize that those that people were saying about the Flojet in their Flojet macerator pump reviews are real. In addition to these things, the product is designed with an on and off switch that offers us with convenience especially if you don’t like just even the thought of being near the RV waste when trying to empty it. Using the handheld switch, we don’t have to worry about it. However, you might have to buy a long wire to hook it up to your RV battery. But overall, it is not to be discounted because it has the solid functions and features that we’re looking for an RV waste pump. It also has great reviews online, which might also give you a hint on why this unit deserves a second look. In addition to these products we’ve reviewed above, let’s also include this SewerFlo Quick Release RV Macerator Pump on our list. The RV waste macerator is an excellent product when it comes to efficiency and effectiveness in dealing with RV waste and helping us empty it without any hassles. This model can work both for the black and grey tank. It does what it does perfectly without any hassles, and that’s also thanks to the perfect fitting it has. I liked that we could easily attach it to our tank outlets and also remove once done in second. The self-priming and powerful RV macerator pump comes with outstanding features, too. I liked that this one can be attached easily and quickly to a 3-inch waste outlet without any issues. Another thing I would like to mention is that it comes with a garden hose inlet, meaning it’s easy to clean and remove any debris that it might collect. More so, if you’re looking for a product that you can use at longer distances especially frequently traveling and camping with your RV, you might want to take a look at this Quick Release RV Macerator Pump. After all, it is also very easy to connect it to the RV battery for its 12V operation. You can also rely on it if you’re looking to empty the tanks quickly because it is rated to work at 12 GPM. It only translates to about only 3 minutes of cleaning or emptying a 30-gallon tank. Another thing I liked about the product is ease of cleaning and removal of debris for the included garden hose inlet, which can really save us some time. On the downside, the plastic components of this unit might not be that durable. But overall, it is still a great choice for RV owners looking for an easy to operate waste pump to make their RV camping more worthwhile. Waste evacuation will not become an issue again no matter if you’re located far away from the sewer or dump station. This product is one of those that are highly recommended for its superb features and functions. It has a self-priming operation that makes it a decent choice when it comes to dumping waste. For this reason, you should not forget to take a look at it when comparing 12v macerator pump on the market. 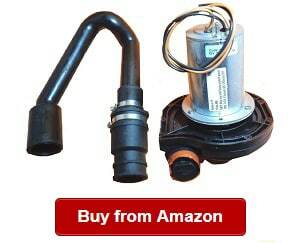 It can be your permanent RV macerator pump that you can directly install under the recreational vehicle. In addition, I liked that it has a powerful four-blade system that can help us get the job done fast. Speaking of a quick operation this unit is able to empty your gallons in about three minutes for a 30-gallon tank. It is also one of the things that make the Jabsco 18590 on top of this list. When it comes to durability, there is also nothing more to ask from this waste pump. 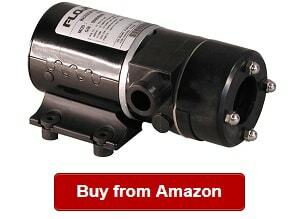 It is designed and made with stainless steel motor, making it a heavy-duty pump. 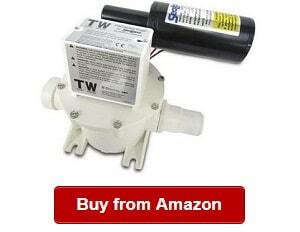 So in terms of durability, you will not have any issue with this RV waste pump. For people that do not want to replace it from time to time should go for something durable like the Jabsco 18590. Another thing not to forget about the 18590 is that you don’t have to stress about how to install it. You can do it yourself in minutes! Definitely, this one might be what you’re looking for if you want a permanent pump that will last long. On the downside, the Jabsco 18590 received complaints about interior bolts, which were corroding. But in general, this unit is one of the highest rated and positively reviewed products in the category that gives most users with the satisfaction they want to achieve. The portable marine macerator pump is another system to consider when finding a product of its kind. One of the things I liked about it is that it comes as a full kit, so we don’t need to buy a separate hose for it. In addition, it is high quality that it is made to last long. It can keep up with the heavy demands and use in our RV. So no matter where our RV will take us for our adventure and camping, we will not encounter any issues when it comes to dumping our waste. Even if the sewer is far from our rig, we can rely on the macerator that can reduce RV waste into slurry so that it can move faster and prevent blocking the hose. In addition, the Clean Dump Waste Pump is useful even for long distances of up to 150 feet. While it does not have to be this long a distance all the time, the length as to which the RV macerator pump can work will come in handy whenever needed. The waste pump does not only work for long distances but also for long-term use. There is no question regarding its durability. This product is made with a stainless steel shaft, which enhances its toughness. The material just ensures that the motor will stay protected. Upon comparing it with other products, you will notice that not all of them have this durable make. More so, another thing I liked about the Portable RV Waste Pump is that it comes with all the things we need include alligator clips, hose, adapters and a long 20-ft power cord. In that case, you don’t have to buy separate accessories or even a hose before you could use it. However, the hose included is a bit short. Despite that though, this macerator pump is a really great deal because it is a complete kit that requires no additional research from you. The Thetford 38056 is a toilet discharge pump that is designed and built for the Tecma Silence plus Macerator Pump Assembly. It is another great offering from Thetford, a trusted brand for toilets and other camping Gear and systems. The 12V unit can be operated easily using your car battery. There is no hassle when it comes to quickly operating this discharge pump. In addition, the Silence Plus Macerator Pump Assembly is convenient to operate aside from being made of high quality materials. With topnotch materials, you can look forward for many years of use. For someone like me looking to get most of my spending, I liked that the brand has put customers in mind. They have designed and made the discharge pump with durable and long-lasting materials. More so, they have manufactured the Thetford pump is created using state-of-the-art technology that makes it tough to deal with the abuse and use in our RV. Aside from these things, I liked that it is offered at an affordable cost without compromising its quality. With it, you can meet your needs while also getting the great quality from a discharge pump. The macerator and discharge pump is designed and built to meet the requirements of the consumers. It is by one of the world’s top makers of products for marine, truck, camping and RV markets. It is consistent in making mobile living a more enjoyable and pleasant experience. However, it can be tricky to use the first time for some users. 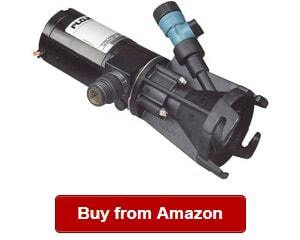 When checking out RV macerator system reviews, you might have read about the Flojet 18550000A 13 GPM. This unit works faster than other models do because it can remove waste up to 13 gallons per minute. It only means that it can empty a 30-gallon tank in about three minutes. One thing I liked about the Flojet 18550000A is its flexibility. It can be used in emptying black or grey RV holding tanks. Using it, you don’t have to stress about holding a hose up when the sewer is higher than your holding tank outlets. Speaking of versatility this unit is not only good for emptying black or grey tanks, but it can also be used down a toilet, into a mobile waste wagon or into the sewer clean out or septic tank. The RV Macerator Pump is definitely worth the spending because its uses are not only limited to RVing but also for other applications. This pump is able to macerate waste and reduce it to slurry. 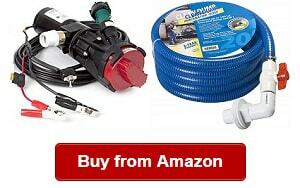 With it, you can end your misery in rinsing and handling a messy and dirty sewer hose. 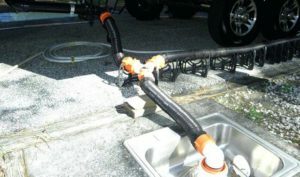 Now, we can use an easy to handle hose, which can be used in pumping around corners and uphill. 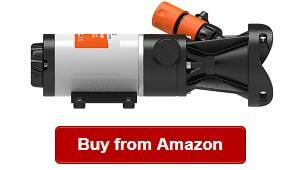 However, this macerator pump for the recreational vehicle for is a bit pricey. But overall, it is one of the most reliable macerator pumps on the market for the camper, truck, houses and other applications. Nevertheless, it is a trusted product for many RVers looking to get the most of their spending. The Quick Release RV macerator pump is one of the best products in the category for its superb features and functions that make it among the top rated for customers looking for a reliable and heavy-duty recreational vehicle macerator pump. This sewer waste macerator pump is versatile enough that it can fit all black tanks. In addition to that, this ProGear 2000 RV Waste Pump is also lightweight and compact. It is one of the reasons that the waste pump receives a majority of positive reviews from its users. 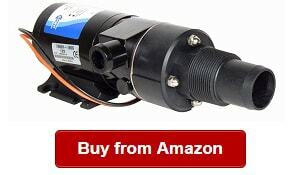 If you’re shopping around for a durable and high quality pump to empty the black and grey holding tank, you might want to take a second look at this product. It is designed and made for mobile environments, including campers and RVs. It comes with four stainless steel blades that work so powerfully that it can empty a holding tank with a 30-gallon capacity in about three minutes. The ProGear 2000 is also the perfect solution for RVers that want an effective macerator to grind waste in the max size of 1/8”. More so, I liked that the macerator pump can be used for up to 50ft in distance. With its flow rate of 12 gallons per minute, we can have peace of mind that our job will be finished sooner. With it, we don’t also have to worry if our rig is located far away from the sewer or it is higher than our holding tanks’ outlets. Another reason I would like to recommend the pump is its self-priming operation to a 5ft lift whenever its impeller is wet or 4ft whenever it is dry. I also liked other design features, such as its seamless shell motor design and abusive duty cycles. On a drawback, this product has durability issues for some users. But then, RV owners looking for a reliable and efficient product still go for the Progear 2000. If you’re looking for a durable and reliable macerator waste pump, you might want to take a second look at the Sealand T-Series Sanipump model. It is dependable pump that performs well and lasts long. For someone like me who wants to get the most of my spending on anything I buy for my recreational vehicle, these two things are very important. One thing I liked about the pump is its quiet motor, which operates silently and effectively. More so, I also liked that it is designed with a T-series discharge pump, which has been reinvented to reduce noise. For me, it is also important to ensure that we can operate the pump without disturbing our loved ones or other people in the campsite for a noisy pump. Another unique feature I’d like to note is that this pump is featuring bellows pump, which is able to run dry without being damaged. So when it comes to durability, I think it is a big plus for choosing this unit. And if you’re finding a macerator and discharge pump that works efficiently, you can take a look at this model that is only drawing only six amps at 12 volts DC. That said we don’t just use a strong unit but also an efficient one that can help us empty our black and grey tanks and RV toilet with tank without any hassles. You will also appreciate that there are no odors in the pump, which can be annoying to have in the recreational vehicle. More so, I’d like to recommend this Sealand T-Series Sanipump Discharge and Macerator Pump because it has a self-priming ability of up to 10 feet or 3.3 meters aside from being able to handle up to 4.5 gallons or 17 liters per minute. On a downside, this pump is a bit heavier, though. But overall, it is still a decent choice for its excellent features and functions. Check out the SEAFLO Macerator Waste Water Pump 12V that is one of the most innovative products around in the category. 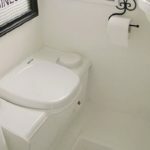 You will love the amazing features including the anti-clog function of this unit. The heavy-duty macerator pump is a new version of the brand’s offerings. Now, it comes with a fully sealed motor that adds to its durability while maintaining top functions. I notice that it can macerate and turn solid and liquid waste into slurry. Another thing I would like to recommend it for is its quad blade design, which makes it more efficient in its function. In addition, the motor has an easy clog removal feature, which makes it easier to use. I also noticed that it has o-ring sealed end bell that adds to its efficiency. The SEAFLO 01-Series is also versatile. It can be used for RV and marine sanitation waste applications, giving you more value for your money. More so, the macerator pump is also useful for livewell and fish box evacuation. I also liked that it can ensure that you won’t meet any problem with pumping even if your rig is located far away from the sewer. Also, if it is higher than our black or grey holding tank, we don’t also have to worry that we cannot dump the RV waste properly. It can also empty your 30-gallon holding tank in around three minutes. It is not only fast and efficient but also backed by a 4-year warranty. In addition, it has a self-priming operation for up five vertical feet. And for easy pumping, I liked its excellent quad chopping blade that can reduce the particles down. On the downside, the macerator pump is quite expensive, but if you’d consider its innovative functions and features, it is worth the spending. The Clean Dump CDPU is another impressive product not to miss on this list. If you’re looking for a permanently installed macerator pump for your rig or travel trailer, you might want to consider this one. The overall pump is of high quality. The brand did a great job in terms of ensuring they will maintain the quality of this product just like portable ones. One thing I liked is that it can pump as far as 150 feet, a great distance that other pumps might not be able to beat. I think the distance on how far it can pump makes it one of the best choices for RV owners looking for a reliable pump. With such flexibility, we don’t also have to worry about where we will dump our waste especially if we’re far from the dump station. 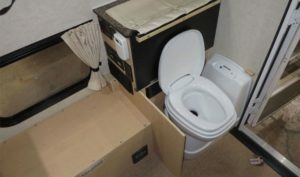 It also means that we have the option to choose the dumping ground ideal for our situation. With the flexibility, we can also have a more enjoyable camping experience. While I would like that it should have been a portable one, I do appreciate that the permanent RV macerator pump is a real value for the money because it is very durable. 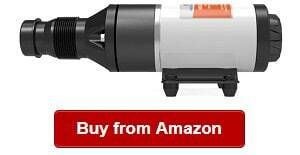 This permanent macerator pump is also easy to install, and that is one thing I appreciate about this product. With it, you don’t have to worry about installing it even without getting outside help. Finally, I liked that it comes with everything we need to use it right away. On a downside, the product is not for recreational vehicle owners looking for a portable macerator pump. 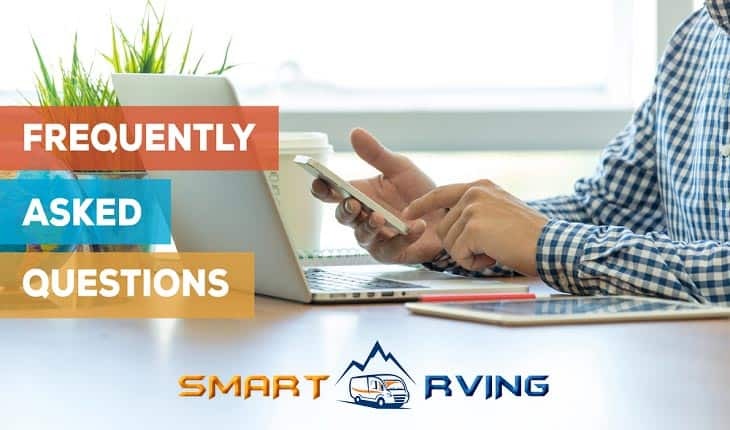 Smart RVing is your team for reliable and insightful reviews to pick the best products, including recreational vehicle gear, accessories, appliances and systems. 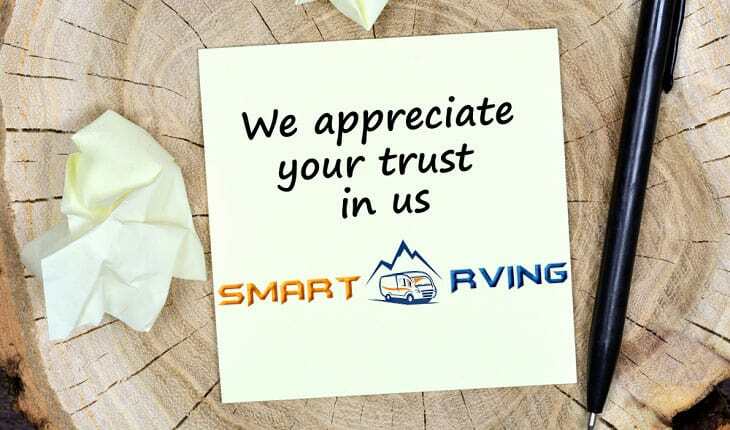 We’re your source of information, tutorials and guides to make RVing life more rewarding and worthwhile with dependable, functional and efficient tools, gears, appliances and systems around. Before picking the products to review in our guides, we list down and research about the things to look for when choosing the specific RV product. Using the info, we’ve researched and discovered, we start reviewing each of them and list their pros and cons. We do make a thorough evaluation of the benefits of using such macerator pumps, including ease of use and installation, efficiency and convenience, among others. Using our reviews, we do hope that you will be able to pick the right one that fits your needs and situation. If you do have questions, we’re ready to help. Feel free contacting us anytime. The RV macerator pump is one of the most essentials to have in our recreational vehicle. It is a specialized macerator designed and built to help us dump our recreational vehicle waste. This product can work both for the black and grey holding tank. What it does is so simple and straightforward. First of all, you should connect it to your waste outlet and turn it on. It will start grinding and reducing waste size. After that, it will push the waste through a hose and then into a waste dumping station or zone. Commonly, it is a good waste pump that is very useful and versatile. It is not just for recreational vehicles but also in other applications in which a macerating pump to reduce particle size is needed, such as livewell and fish box. You should have it in your camper or truck because it is also useful whenever you’re parked away from the dump station. It also comes in hand during emergencies, such as when the waste holding tanks are not lining up the with the dump station. With such macerator pump, you can dump your RV waste quickly also into a private septic system or sewer opening as well as toilet because the RV macerator toilet will help in grinding and reducing waste into smaller sizes. So with the help of these pumps, you don’t have to worry about a very awful manner of dumping RV waste. These pumps also give you the chance to not having to use a standard sewer hose because the wastes’ size is reduced that they are small enough to be dumped into a septic tank, toilet or sewer. The pumps, in short, can turn the liquid and solid waste into slurry, which is pumped through a garden hose and into a dumping zone. Overall, the pump works hard to pump RV waste even if your rig is far away from the sewer or if it’s higher than the holding tanks. They exist to make your camping experience more enjoyable, rewarding and less annoying in handling RV waste. Aside from knowing what an RV macerator and how it works is, you should also learn about its types so that you can figure out what you really need based on your preference, budget and needs. Learning about the types of RV waste pumps, you will also be able to recognize what you really want. At the very least, there are three types that include the permanent, portable and 110V macerator pumps; each of them has unique features that you will like. 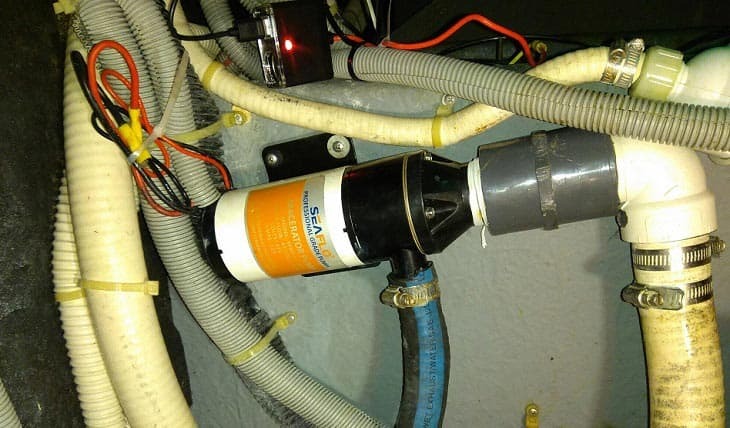 If you have an older RV without a built-in macerator, you might want to install a portable pump for it. In addition, the portable type can also be for you if you don’t have a particular place in your rig where installation might not be possible. On the other hand, I do believe that the permanent pump will be better if you have a designated area in the camper or recreational vehicle where to install it. But then, if you think that neither of the types of pumps is for you, you can also go for the 110V macerator pump. It is also good and powerful but not much affordable. So depending on which type will suit your situation and needs, I suggest you go for it. If a permanent installation will be more appropriate, then you can go for the permanent RV macerator pump. At the end of the day, compare your options well and choose one that suits your situation and needs. You will need the macerator pump for your travel trailer, recreational vehicle or camper for many reasons. For one, it can help in the sanitation of your recreational vehicle. For one, it can help in reducing waste into smaller particles. The pump can work to turn solid and liquid waste into slurry so that it can pass through the garden hose easily and then into the dumping zone quickly. Waste can be dumped into a private septic system, toilet, dump station and camping ground RV waste station, among other places where waste can be dumped. In this case, we can be certain that we can keep our recreational vehicle tanks emptied when needed. 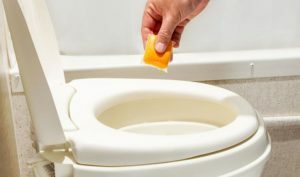 As a macerator pump can also reduce waste, we have the option to dump waste into where we cannot be able to do typically such as a toilet or sewer. In addition, the pumps let us use a smaller hose, not the typical sewer hose. A smaller garden hose where the slurry can pass through will be able to mitigate the smell comes from the waste, and that is a good thing you will appreciate. Overall, it is great to have the RV macerator pump around especially in times when you don’t have sewer or dumping station access. Upon learning the types, workings and benefits, let’s discuss the things to look into when choosing this product, such as the 120V RV macerator pump. To help you figure out what you need for your recreational vehicle, let’s talk about important factors so that you can compare your options later. Just like when shopping around for other RV gears and products, we also have to consider how much budget we’re willing to shell out or spend on a macerator pump. The price range varies from one model to another or from brand to brand. So to be able to narrow down your choices and save time, you should consider how much budget you are ready to spend on this new RV system. While I must say that this product is not cheap, I must also emphasize that it is handy especially in times when sewer access is impossible. 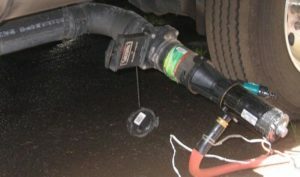 If you don’t mind spending some money to get rid of the nuisance of dumping your RV waste, I suggest having a macerator pump with you onboard. Also, spending on a bit more expensive product can turn out to be cost-effective, too, because they tend to be more durable than those made with flimsy materials and motor. So in all cases, I recommend you figure out how much you are willing to spend first to ensure you will save time and effort other than browsing too many products that do not fit your budget. An important factor to consider when shopping around for a macerator pump is how many times you plan to use the new pump, such as you only want to use it in times of emergencies. So if you don’t plan of using it frequently, you might want to go for a more affordable option. But then, I suggest going for a higher priced product if you would use the product more often. You can start comparing your options by the reviews we’ve made earlier. Take note that there are full kits and incomplete kits available on the market. Some macerator pumps do come with a hose, adapter, clamps and valves, among other accessories. One of the most important among them is the garden hose. It is not your garden hose used in your garden, or else, waste will be stuck in the hose and cause sanitation issues. Another additional product you will need is a clear elbow that will let you see where the waste is going and that lets you see what is going on. Otherwise, you might not be able to check if the pump is running dry, which can pose a problem that it might burn out the pump. Nevertheless, you might have to buy additional products for the macerator pump to make it useful. There are also full kits available that you might want to consider, but then, you might still have to spend on some accessories when necessary. Again, there are three types of pumps on the market – the portable, the permanent and the 110V. Depending on your needs, you must be able to pick one that will help you perform the job easier and faster as well as based on the features you’re looking for the discharge and macerator waste pump to have. Q: What are good RV macerator pump brands? A: While there are many macerator pump brands on the market, not all of them are promising enough to meet your needs. That is why we have selected the best among them, and a few include Amarine, SHURFLO, Flojet, SewerFlo, Jabsco, Clean Dump, Sealand, USA Adventure Gear, SEAFLO and Thetford. Q: How far can a macerator pump? A: Good brands can reach long distances. We have found them for you! The best brands are able to pump in as far as 150 feet. In this case, you don’t have to worry about pumping waste even if the sewer is located at a longer distance. Q: What kind of hose should I use for macerator pump? 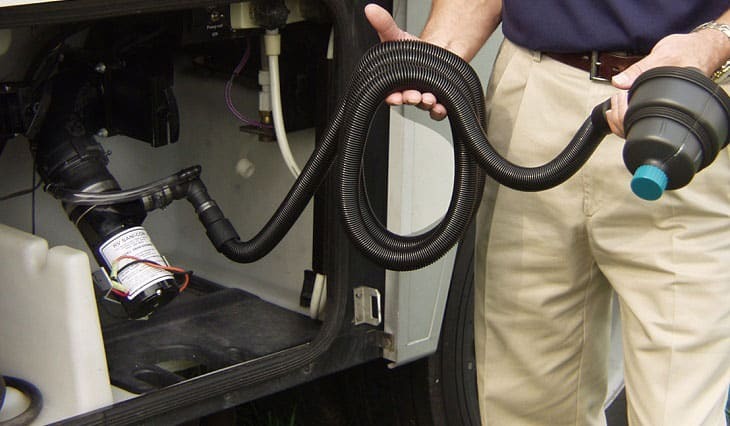 You don’t have to worry about using the stinky sewer hose at all because you can use a garden hose specifically and exclusively for use with the discharge and macerator pump. Q: Do pumps come with a hose? A: Not all pumps come with a hose because some of them are not sold as full kits. 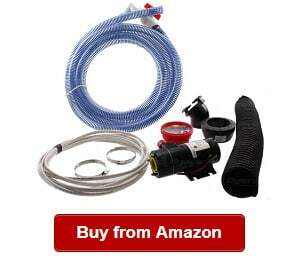 So if you’re not buying a complete kit, you will have to buy a separate hose for it. Q: How to install it? A: Installing it is not hard at all, such as when you buy a Jabsco macerator pump installation, which is known for being easy to install. Just follow specific manufacturer instructions and install in minutes, depending if you have a portable or a permanent macerator pump. Q: How to use it? 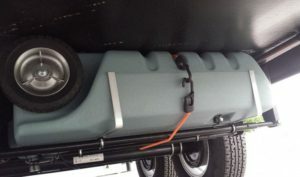 You just have to connect it to your RV holding tank outlets, and then connect the exit hose to the pump. Then, you can run the hose to where you are dumping the waste. Next, you can attach the macerator pump to the battery of your vehicle before pulling the drain valve on the tank. When done, switch the pump on and let it run until the tank is emptied. Switch it off. Q: How to clean and store it? A: One of the things to know about macerator pumps is troubleshooting like Shurflo macerator pump troubleshooting if yours is by SHURFLO. You can start by taking the pump out and turning off electrical supply to it and your holding tank is empty. Unscrew the pump and pull the garden hose out the pipe. You can also use a wrench in order to take out the seal between the tube and the holding tank pipe. Clean the pump starting with its tube. It must be placed in a bucket with soapy water, and then leave it for a couple of hours. Clean it thoroughly by running water that should be pumped through it. Next, you can take the blades off the macerator pump before wiping them down using a rag. Begin washing off large debris pieces before placing the pump back into your holding tank. A: Depending on the problem, there is no specific way to fix the macerator pump unless you know what to fix. We suggest that it might be better to bring it to a professional for proper diagnostics, inspection and repair. In some cases when it is irreparable, you might have to buy a new one. Hopefully, you can pick the best RV macerator pump after reading the guide that highlights the top picks along with the answers to the most common questions about this RV macerator pump. Again, consider the factors to look into when comparing your options and pick the one that suits your preferences, budget and situation. Buy the right macerator pump for your vehicle today!